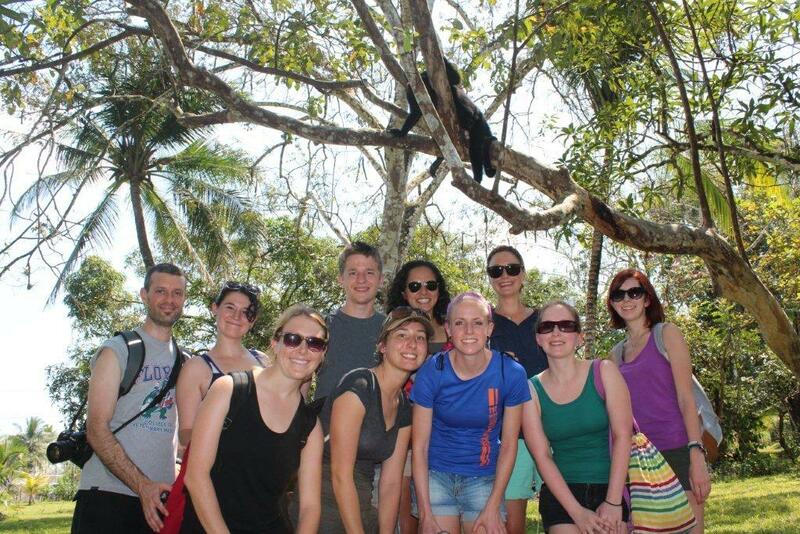 Check out our film of University of Florida vet students enjoying a “Wild-Spring-Break” in 2013. BWRC UFlorida vet school WildSpringBreak in Belize from daniel velazquez on Vimeo. 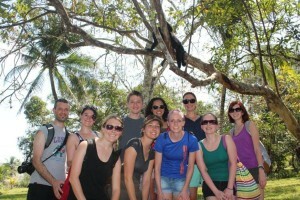 Spend a Wild-Spring-Break in Belize with BWRC! Contact educational program manager Justin Ford at jford@wildlife-institute.com for more details. 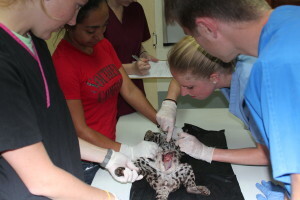 The Wild-Spring-Break program is an intensive program which focuses on key topics in wildlife medicine. This program also introduces wildlife rescue and rehabilitation; and wildlife conservation strategies. This program is held at the Belize Wildlife & Referral Clinic’s (BWRC) teaching facility with BWRC’s founder and wildlife veterinarian, Dr. Isabelle Paquet-Durand. Students are introduced to the role and function of wildlife medicine through theory and hands-on experience. Students also have the opportunity to observe, and when possible participate with the BWRC veterinary staff during their daily operations. Students are likewise introduced to critical conservation issues in the region, focusing on strategies to mitigate human-wildlife conflict. Students visit wildlife and conservation organizations around Belize; and guest speakers enrich the course content with perspectives drawn from the front lines of wildlife medicine and conservation. 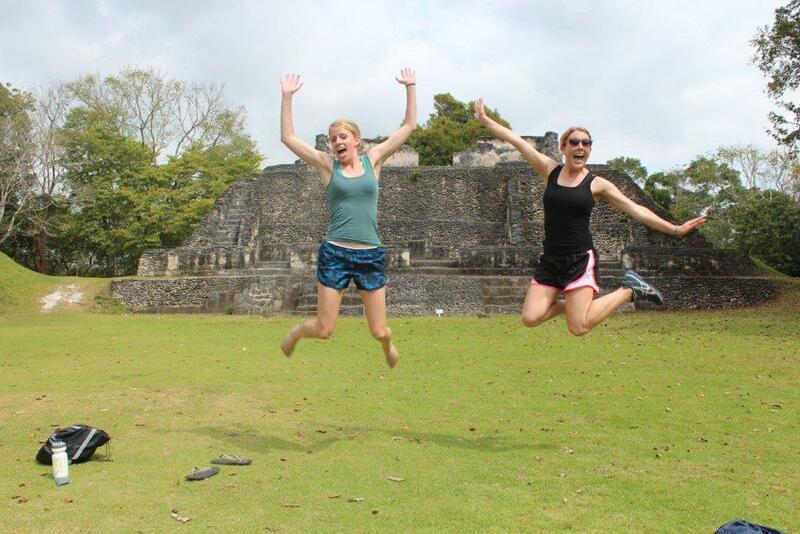 In between visiting field sites and classroom sessions, students enjoy recreational activities and are introduced to Belizean culture. o Critical conservation issues in the tropics, and specific examples of their challenges. Before you apply, feel free to contact us for more information about the Wils-Spring-Break in Belize and the Wildlife Medicine and Conservation program. BWRC offers other programs and internship opportunities which may be of interest to you. Should you decide to apply, return this application form and supporting documents to BWRC’s internship & program manager jford@wildlife-institute.com as early as possible to secure your placement. Limited placements are available.